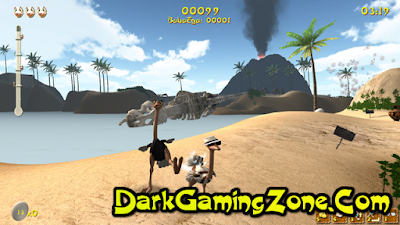 Review:The Ostrich Island Game is the unique adventure/exploration/RPG mix where you are playing as an Ostrich! Walk into tropical paradise, rush through storm madness, explore the deepness of the ocean and behold the darkness of underground. Each island contains many secret achievements, collectibles and bonuses needed to be discovered! Wear hats, find the photo camera and take photos, catch butterflies, kick all the stuff around you, discover secret islands alone or with your friend and much, much more. 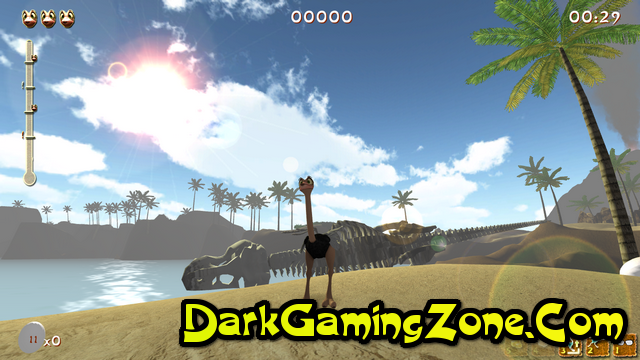 Ostrich Island is the unique mix between an adventure, platformer and RPG. 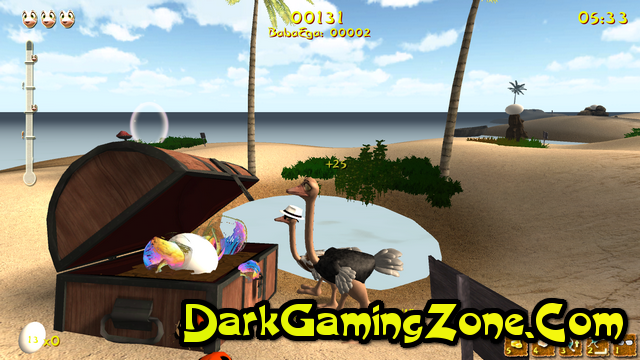 Explore beautiful islands, search for collectibles, level up and gain new abilities. Did you know that an ostrich can live for up to 70 years, or, that its kick can kill a lion? Well, now you do, and it is all thanks to Ostrich Island, by MeDungeon Games! We have taken control of goats, become cops, tried our hand at farming and even become slices of bread, so it was high time that an ostrich simulator showed up. They aren’t the brightest of birds though, having not noticed the volcanic eruption going on around them. But neither would you if you spent most of the day with your head in the sand. Our intrepid flightless pal is on a mission to escape the island. rejoin his family, and maybe even pick up some trendy accessories whilst they are at it. 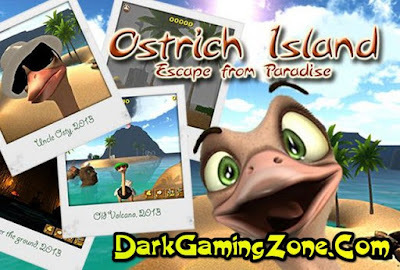 Ostrich Island splits its levels up over several islands, tasking you with collecting eggs, bugs, and kicking everything in sight. If it’s there, you can kick it! It is slightly reminiscent of games you might find in PC game collections whenever you purchased a new computer, back in the late 1990s; the type that invariably came with various pieces of Kindersley software. That is to say, as a product, Ostrich Island is quite primitive.